We strongly support Georgia in dealing with both domestic and foreign policy challenges. People, Dialogue and Stability are the key words of the Slovak Chairmanship of OSCE. 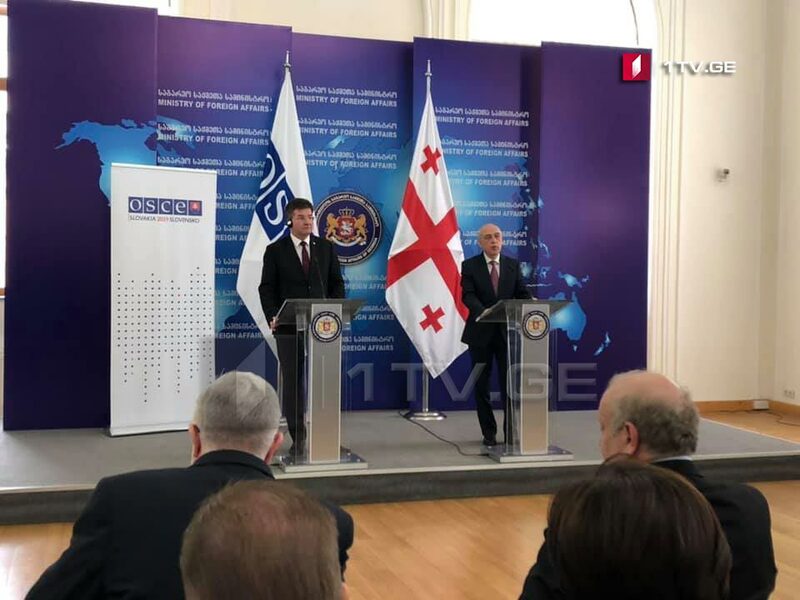 We have to use all available platforms for the dialogue and to the benefit of the conflict-affected people” – Minister of Foreign and European Affairs of the Slovak Republic, OSCE Chairperson-in-Office Miroslav Lajčák said following his meeting with the Minister of Foreign Affairs of Georgia, David Zalkaliani. The two Ministers discussed the situation in Georgia’s occupied territories and issues relating to the Geneva International Discussions. Discussions during the meeting focused on Georgian-Slovak bilateral relations. According to Lajčák, Slovakia heightened Georgia’s status within Slovakia’s Official Development Assistance Programme that opens up new opportunities for the further development of co-operation. Miroslav Lajčák visited the occupation line in the village of Odzisi.